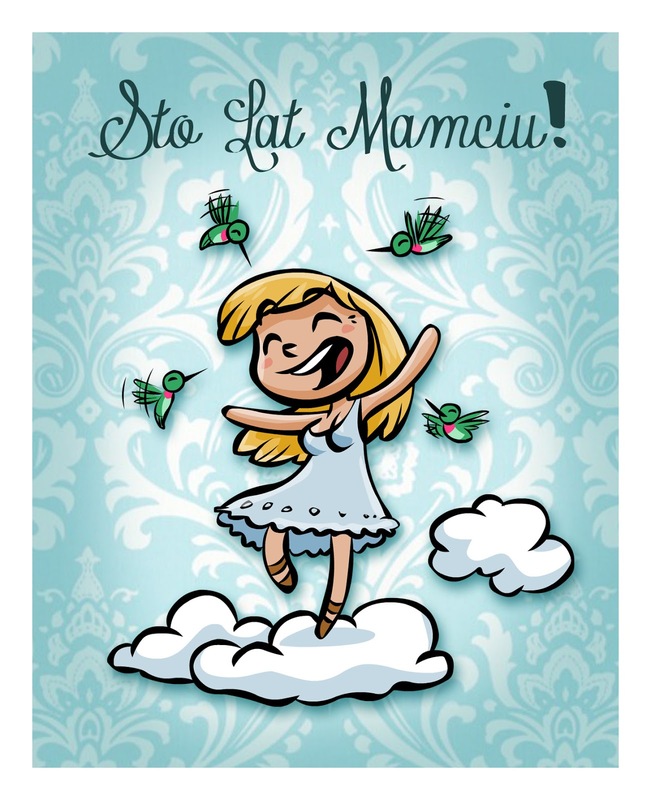 Tina Nawrocki - Art and Animation: STO LAT MAMCIU! Happy Birthday to my Mommy! STO LAT MAMCIU! Happy Birthday to my Mommy! It was my Mamciu's birthday last week! 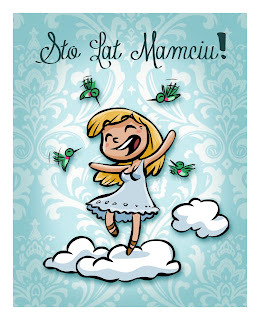 :D I drew this lovely card, whilst my sister composed awesome - sadly untranslatable - birthday text. She loves the hummingbirds that come to feed near her veranda. Hence the dance in the clouds surrounded by her buddies!